BHV has everything, man! This enormous department store situated right smack-dab in the middle of Paris is a real life saver when you can't find whatever you're looking for anywhere else in town. They have a department for just about any kind of stuff you can think of: clothing, housewares, beauty supplies, electronics, and even a huge hardware and home improvement section (basically a whole Home Depot minus the giant pieces of wood) in the basement. Be warned, along with being convenient, BHV is also expensive as hell, and should basically be used as a last resort. If you're American and spending some time in Europe, you might quickly realize that the idea of convenience we're so used to as American consumers just doesn't exist in France for the most part. There are tons of items that you'd think would be easy to find in a big city like Paris, and you search and search and just can't them anywhere. That's when it's time to try BHV. You know you'll pay too much, but at least you can find what you're looking for! 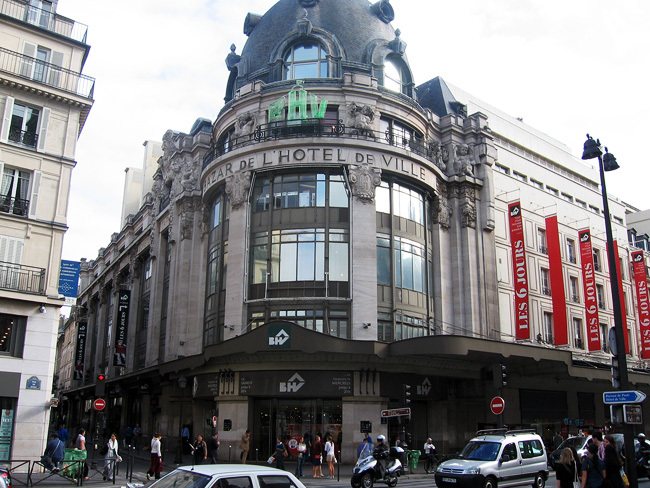 BHV's name comes from the former open-air Bazar de l'Hôtel de Ville that was on the spot back in the day. 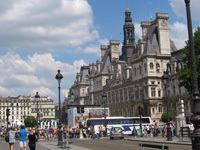 The store is right on the corner facing Hôtel de Ville, Paris' city hall. If you need to ask someone to point you toward BHV, the French pronunciation of the three letters is "bay-ahsh-vay." One of the main things I send people to BHV for all the time is electrical adaptors so they can use their laptop computers and such in Paris. The electronics section downstairs has all kinds of adaptors and voltage converters for practically every combination of country. 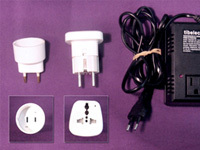 (See my article about using your American electrical devices in France here.) The other main thing BHV has come in handy for in my own life many, many times is lightbulbs. You can find any kind of weird lightbulb in any strange size, shape, or wattage, either in the lighting floor upstairs or the electronics section in the basement. Very useful for folks staying in Paris longer-term, like if you're renting an apartment for a few weeks or months. There's also an art supplies section on the first floor which has been very helpful in some of my last minute freelance illustration projects when I haven't had the time to run out to a proper art store, but of course, like I mentioned, you pay for that convenience; every item in the store is dramatically, sometimes spectacularly overpriced. I'm sure rich people don't even feel it, but I ain't rich. Fyi, a few departments of BHV have recently been separated out into other smaller stores located close by, most notably the men's clothing store and the pet supplies store, both of which are on the street directly behind the main BHV store. 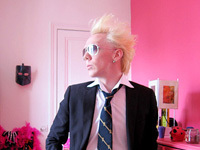 What to wear (and what NOT to wear) during your stay in Paris Staying a while? A pre-paid phone is a great idea!